But John Hagee isn&apos;t a scaaaarrrrrry black guy and the media loves McCain, so it doesn&apos;t count. 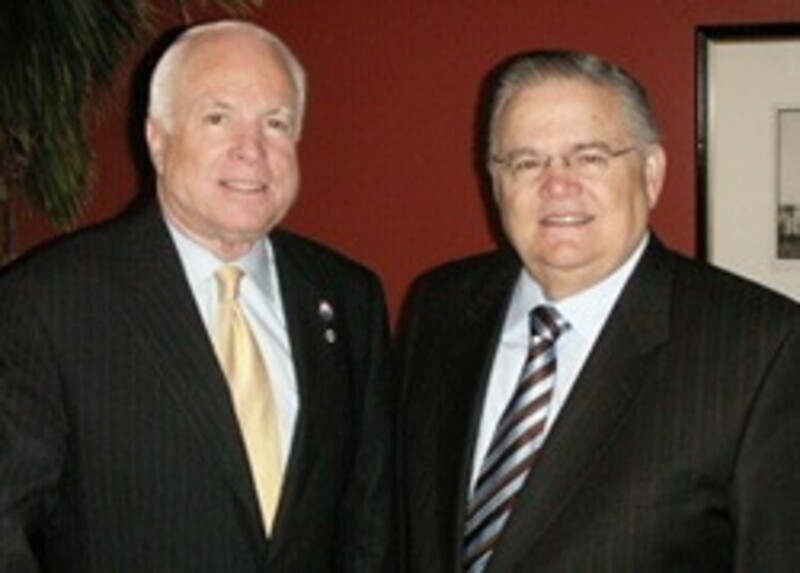 John Hagee, the controversial evangelical leader and endorser of Sen. John McCain, argued in a late 1990s sermon that the Nazis had operated on God&apos;s behalf to chase the Jews from Europe and shepherd them to Palestine. According to the Reverend, Adolph Hitler was a "hunter," sent by God, who was tasked with expediting God&apos;s will of having the Jews re-establish a state of Israel. Going in and out of biblical verse, Hagee preached: "&apos;And they the hunters should hunt them,&apos; that will be the Jews. &apos;From every mountain and from every hill and from out of the holes of the rocks.&apos; If that doesn&apos;t describe what Hitler did in the holocaust you can&apos;t see that."